Everyone has heard or used the phrase, “duct tape can fix anything!” While that’s not completely true, there are a number of uses for duct tape you may not have thought about. 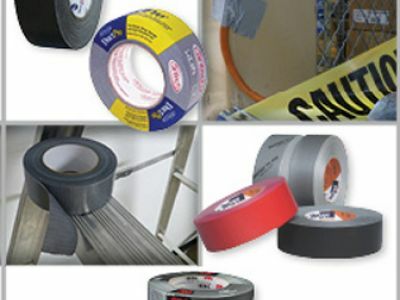 In this post, Aactus, your packaging materials distributor will explore some tips and tricks for duct tape use that may help make your life a bit easier! We all know that duct tape is super adherent. This stickiness can be used to remove splinters by simply applying duct tape to the affected area and slowly removing the tape. In some cases, you may need to try more than once. Duct tape works great at repairing rips and tears. And, because it’s waterproof, is a great way to fix a tent! If you’re having a problem with flies or other bugs, duct tape may be a good solution. Like, fly paper, duct take is super sticky and can be hung easily. If you don’t have a lint roller handy, duct tape can be an excellent substitute. It is stick enough so several passes with one piece of tape and doesn’t leave residue behind. Simply make a loop with the sticky side facing out and stick your hand through it and pat or roll! Sometimes there are jars and containers we can’t twist the lid off of no matter how hard we try. While duct tape isn’t typically used to make things unstuck, it can be used to unstick lids. Just wrap a piece of duct tape around the lid, leaving a “tail” and pull it. You’ll likely be shocked about how little effort it takes to get the lid off.